Item # 313562 Stash Points: 4,995 (?) This is the number of points you get in The Zumiez Stash for purchasing this item. Stash points are redeemable for exclusive rewards only available to Zumiez Stash members. To redeem your points check out the rewards catalog on thestash.zumiez.com. 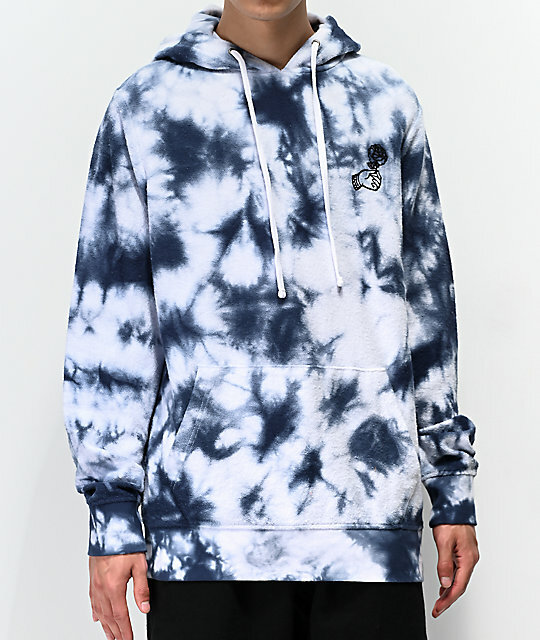 Shake up your hoodie rotation with the Empyre Story Teller White & Indigo Tie Dye Hoodie. Featuring a fuzzy and textured exterior, this hoodie is further accented by a screen-printed hand holding a rose at the left chest in black and a large elephant graphic on back with accompanying script detailing. 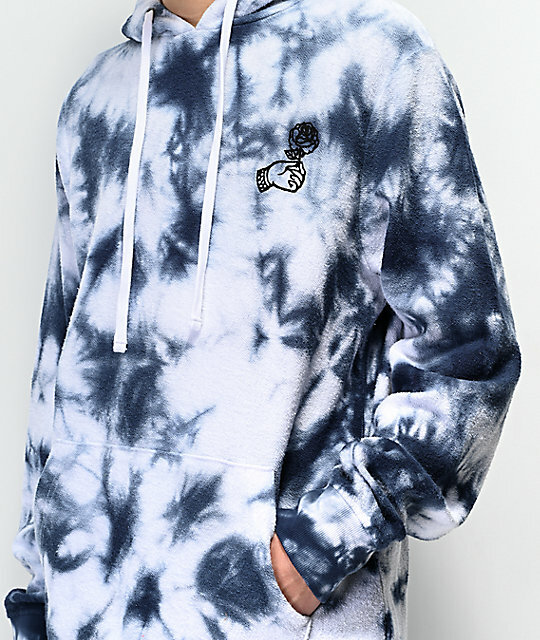 A blue and white tie dye pattern throughout adds tons of color and the drawstring hood and kangaroo pouch pocket maintain a traditional silhouette. 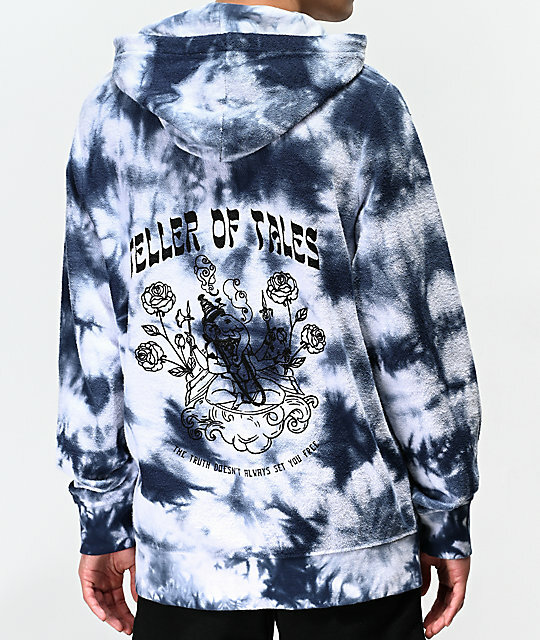 Story Teller White & Indigo Tie Dye Hoodie from Empyre. Screen-printed hand holding a rose graphic on the left chest and a large elephant graphic on back with script detailing.